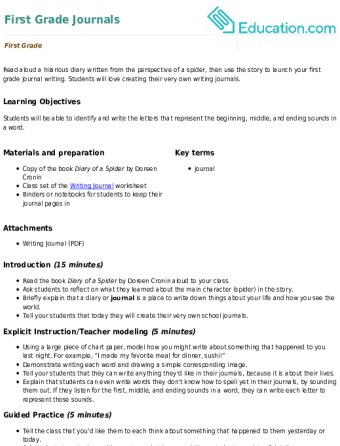 Have some double-letter fun with this exercise on words that end with double consonants. Your child build her vocabulary and spelling skills as she goes. 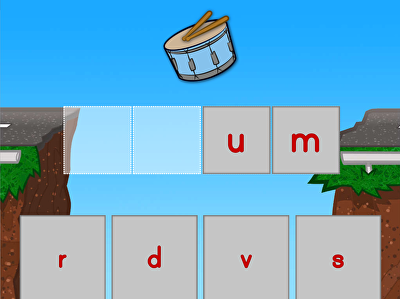 Help your early reader tackle hard and soft Cc with this phonics worksheet. Help kids get creative with this simple writing worksheet. Read aloud a hilarious diary written from the perspective of a spider, then use the story to launch your year two journal writing. Students will love creating their very own writing journals. Help your first grader tackle B and V sounds with this phonics worksheet that asks him to figure out if each item has a B or V sound. 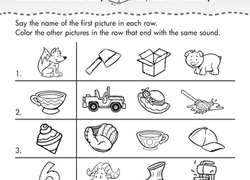 Kids practise sounding out words and recognizing like sounds in this ending-sounds matching worksheet. WordGirl knows one place where she's sure to find lots of words - the library! This word scamble from PBS KIDS' WordGirl has lots of library words to find. Prepare your youngster for fill-in-the-bubble style testing with this helpful series of letter practise sheets! 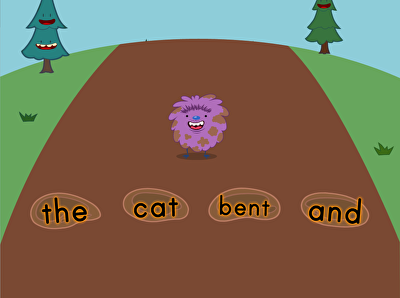 Set your new reader on the right reading track by practising phonics. Here, kids practise recognizing the sound of "x" and "p" as they say the name of each picture, then find the picture with a matching ending sound. Help your beginning reader identify words with a silent ending. She'll determine the last letter of sight words that end with a silent consonant. For early readers, lots of sounding out practise is key. Help your first grader stretch their phonics muscles by practising sounding out words that end in N or T.
These pets need your help finding their missing letters! 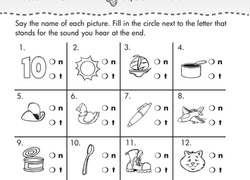 This worksheet encourages students to slow down and listen to each sound they hear. By working as word detectives, students learn how to segment pet words into different sounds. 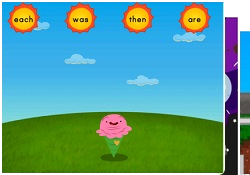 Use sight words to practise sounding out the letters in this activity. This colorful worksheet asks students to listen to the sounds and write them down. This colorful worksheet asks students to listen to the sounds in six words and write out each sound they hear.